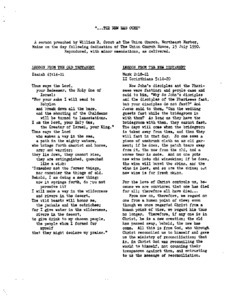 Description:Sermon preached by Reverend William Crout at the Union Church, Northeast Harbor, the day following the dedication of the Union Church House in July 1990. Description:A detailed account of the horror of September 11, 2001 as observed by Mrs. Dillon and her household on television. She lived at 960 Fifth Ave. in New York City. Robert Pyle's letter in response included. 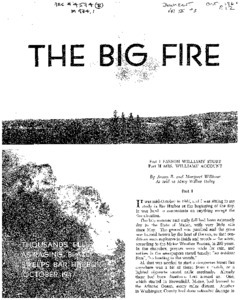 Description:August 20, 1959 Commemorative Issue. 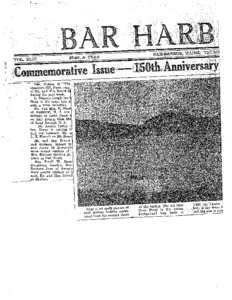 Description:Commemorative issue of the Bar Harbor Times with many articles of Seal Harbor's historic places and early settlers and summer residents. 1898 - 1998 "The Knowles Co. of Northeast Harbor"
Description:Building Partnerships for a century, the Knowles Company celebrates 100 Years in the Real Estate business. 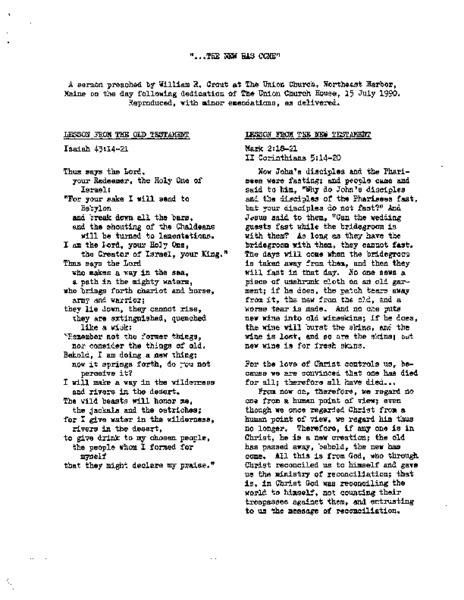 This insert describes the beginning of the Co. until 1998. 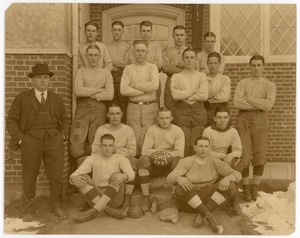 Description:Sepia Photograph of the 1921 Gilman High School football team with individual identification. Description:Depicts roads and residences. Lists historic points of interest. Inset shows A Part of the Maine Coast Near Pemaquid. 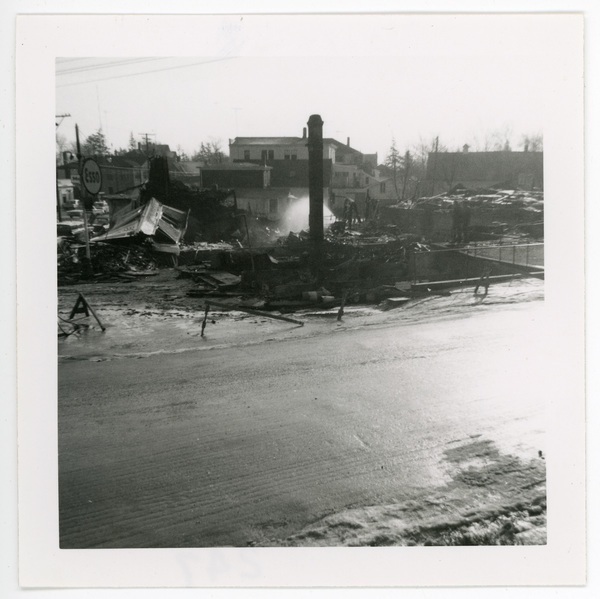 Description:1966 fire, Main Street, Northeast Harbor. Description:List of names, addresses (off season; Sutton), phone numbers and e-mail addresses of residents of Sutton Island. Description:Supplement to the Mount Desert Island focusing on businesses, economic development, population statistics, and government in the county's towns. Description:Susan Dillon celebrates a joint August birthday with Douglas Dillon. 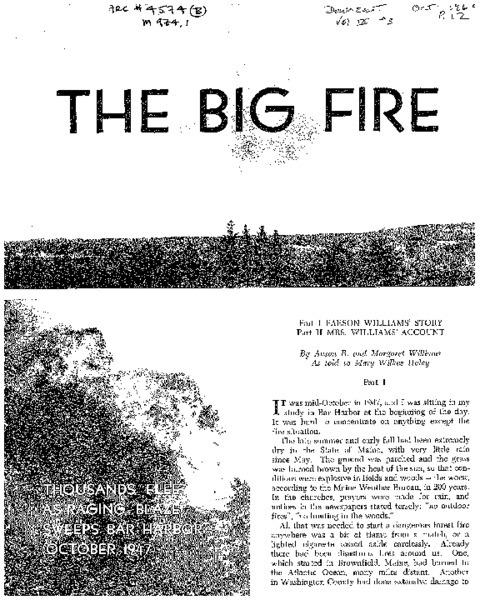 She writes of a party with family and friends on Islesboro. Photograph of Susan & Douglas Dillon on their deck at Sea Watch in Northeast Harbor. Description:Richard Dudman writes of his sailing adventures with his first Friendship sloop built by Ralph Stanley. 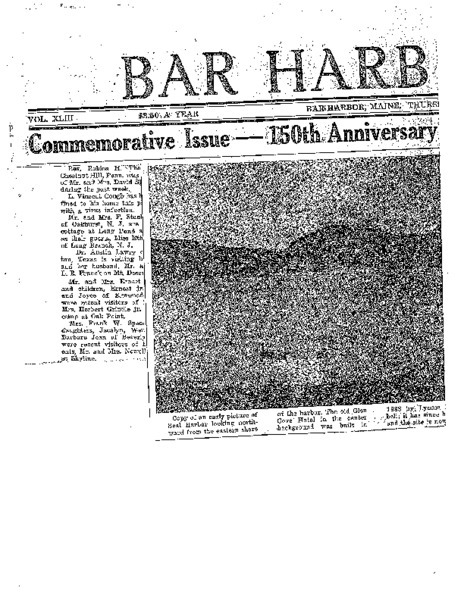 Description:History of the Bar Harbor Yacht Club and list of Commodores. Description:A exhibit at NEH Library, "Arms of the Past", provides a fascinating look at the firearms & other artifacts that shaped & changed local history. Description:Biography of Beatrix Farrand with intensive review of early focus on landscape design, her mentors, her developing philosophy of gardening. Description:The Neighborhood House has been linked to the Mt Desert Festival of Chamber Music since 1963. There has been many changes in the hall, but music has been uninterrupted. Description:Map of the Coast of Maine with border illustrations. Accompanying List of Border illustrations. Description:A blue booklet beginning with the first recorded meeting of the Seal Harbor Library Association. It describes the building of library, past librarians, special events etc. Description:Shows relief by spot heights and topography. Includes historical notes and drawings. Description:Contains a list of libraries in Maine . The main entry is by geographic location, giving address, telephone number, name of person in charge & whether open to public. 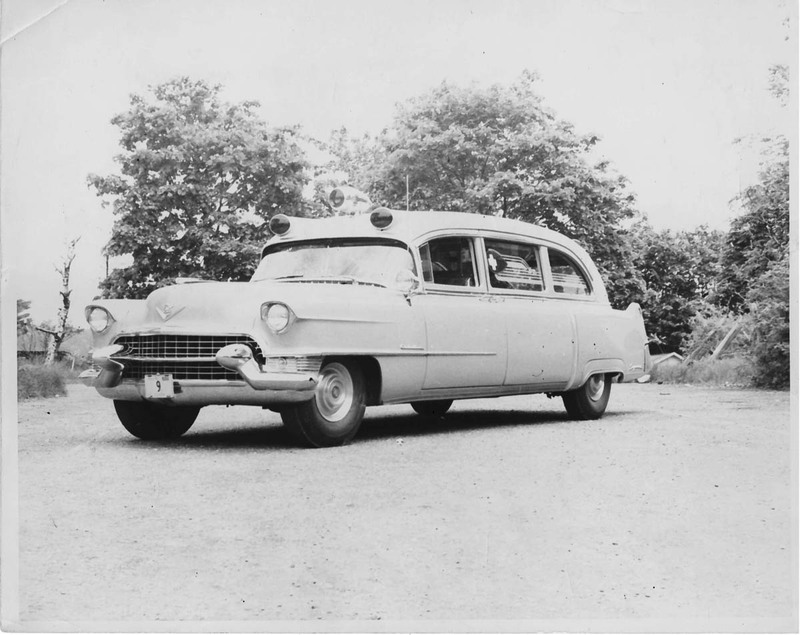 Description:Detailed account of the move of the Reef Point Garden of Beatrix Farrand to the Thuya Garden in Northeast Harbor, supervised by Charles Savage.